... mediterranean, and a falafel dinner.Turkey in MichiganGood hummus. A selection of middle eastern vegetarian dishes (humus, baba ghanoush, tabouleh, ezme & falafil) topped w/ garlic-dill yogurt sauce. 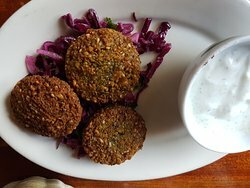 Crisp deep-fried patties of ground chickpeas served w/ sumak salad & garlic-dill yogurt sauce. 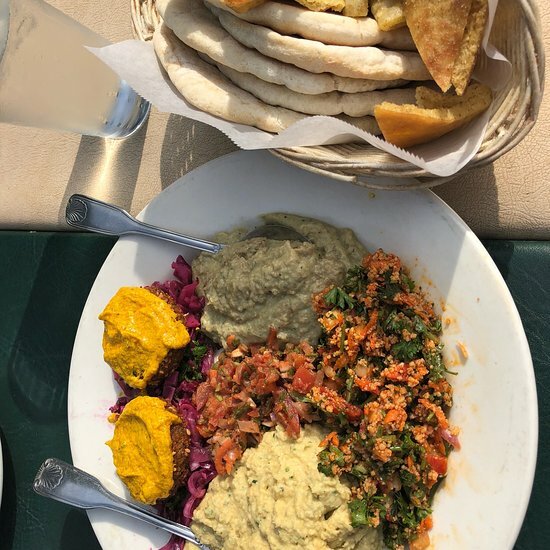 Your choice of favorite deep-house appetizer; humus, baba ghanoush, tabouleh or ezme. Grilled tiger shrimp marinated w/ house mixture of herb & spices, served w/ sesame seeds w/ dried turkish apricot deep. Tender squid sautéed w/ scallions & fresh garlic in a tomato-lemon sauce. Grilled vegetables topped w/ seasoned New Zealand ground lamb & garlic-dill yogurt sauce. Farm fresh shiitakes & basil sautéed w/ a walnut-tomato chutney in a red wine & soy sauce. Crisp romaine lettuce tossed w/ fresh tomatoes, red onions, bell peppers, & cucumbers w/ lemon juice, olive oil & sumak dressing. Fresh romaine lettuce tossed w/ fresh tomatoes, cucumbers, red onions, bell peppers, & zahter croutons, served w/ our exceptional honey garlic-dill yogurt dressing. Feta cheese layered w/ ripe tomatoes, cucumbers, red onions, & bell peppers, served w/ homemade dressing. Marinated strips of chicken breast, grilled & served over a bed of romaine lettuce & mixed vegetables, tossed w/ a lemon-herb dressing. Fresh trout stuffed w/ baby spinach, garlic, walnuts, onions, & homemade tomato-pesto, served w/ basmati rice & sautéed spinach. Jumbo shrimp marinated in curry-lemon sauce, grilled to perfection, served w/ apricot chutney sauce, basmati rice, & seasonal vegetables. Marinated shrimp sautéed w/ fresh vegetables, dried apricots, feta cheese, & fettuccine in white wine-garlic sauce. 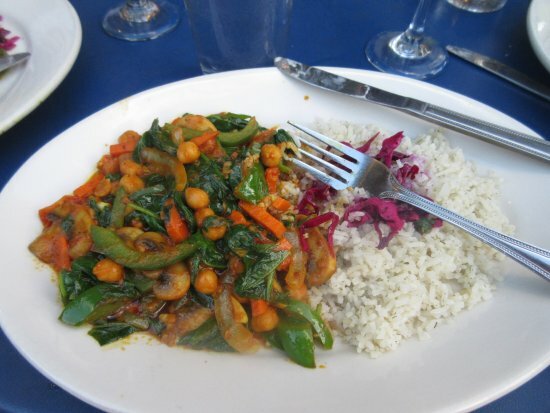 Fresh spinach, mushrooms, tomatoes, onions, bell peppers, carrots, & chickpeas, sautéed in curry-garlic sauce, served w/ basmati rice. Crispy chickpea patties topped w/ sautéed fresh spinach, mushrooms, onions, peppers, in garlic-mango-walnut cream sauce, served w/ basmati rice. Crisp deep-fried chickpea patties, served w/ basmati rice, sumak salad, garlic-dill yogurt sauce, & seasonal vegetables. 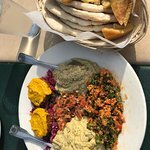 Freshly prepared humus & tabouleh served w/ basmati rice. Freshly prepared baba ghanoush & tabouleh served w/ basmati rice. Penne pasta sautéed in a garlic cream sauce w/ fresh basil-almond pesto & topped w/ parmesan cheese. 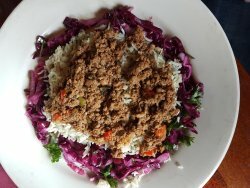 Ground lamb & beef sautéed w/ spices & spring onion, served over a bed of basmati rice, & garnished w/ our delicious sumak salad. Marinated strips of top sirloin lamb char-broiled, served w/ tomato-basil chutney sauce, basmati rice, & seasonal vegetables. Frenched baby lamb chops grilled to order, served w/ walnut-date chutney sauce, basmati rice, & seasonal vegetables. 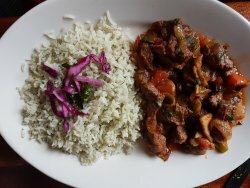 This traditional Kurdish wedding dish w/ cubes of tender top sirloin lamb, marinated & sautéed w/ onions, mushrooms, tomatoes, served w/ basmati rice. 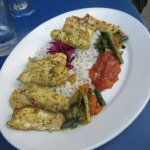 Strips of‏ chicken breast marinated in curried-lemon juice then char-broiled, served w/ basmati rice & seasonal vegetables. 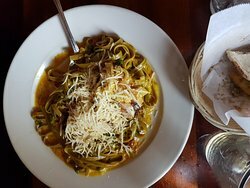 Chicken breast stuffed w/ our own Mediterranean filling, slowly baked to perfection in roasted garlic cream sauce w/ sun-dried tomatoes, served over pasta. Savory pieces of chicken breast sautéed w/ onions, peppers, mushrooms, carrots, & walnuts in garlic lemon juice, served w/ basmati rice. Cubed chicken breast marinated, sautéed w/ onions, carrots, mushrooms, peppers, zucchini, spinach, & potatoes served w/ basmati rice. Hidden gem on Red Arrow Highway! Fantastic food for everyone. 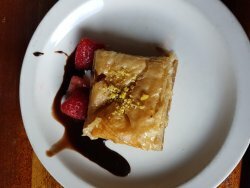 Mediterranean food with fantastic flavors! It keeps us coming back week after week! 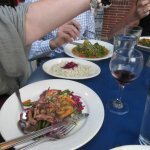 I've never had Kurdish food before and was pleasantly surprised at how much I enjoyed it! We'll definitely be back! 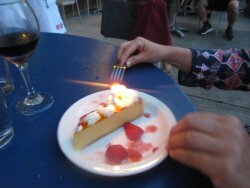 This restaurant is slightly hidden off Red Arrow Highway and can easily be missed. But, definitely go there! The food is excellent - very fresh, tasty and consistently good! The ambience is fine, but it's the food you'd go there for. We've been enjoying Glisten's every summer we've come to Harbert these past 20+ years... now we live here and this has become a weekly treat. Excellent resturant. Wonderful service. The combo appetizer is worth the trip by itself. The house salad has the best dressing. The garlic chicken is strong on the garlic side but definitely worth it. First time here but won't be our last. Everything I've tried is delicious. Good hummus. Good lamb. Good vegetarian options. This is now 💯 characters. Great Mediterranean food in quaint harbor country location. Never miss the opportunity to dine here every summer during our week at the beach. Highly recommend the chicken dolma. 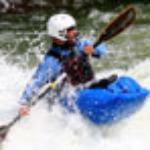 Get quick answers from Cafe Gulistan staff and past visitors. Is the meat zabiha ? Sorry! Not sure what that is! Call them and find out. Super nice people.